Slab sawing is versatile and efficient. 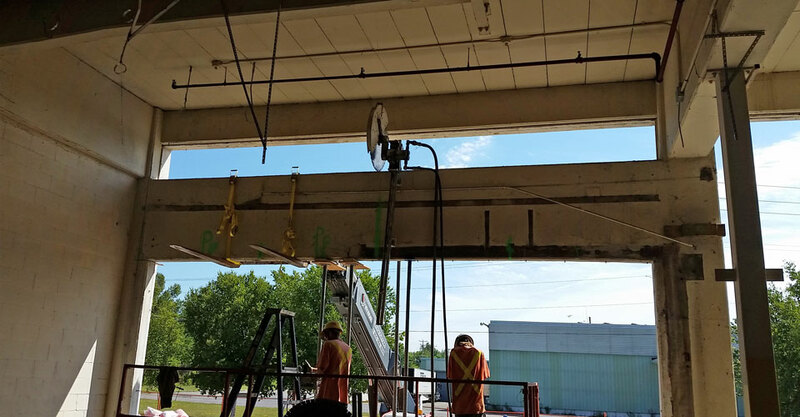 There are many advantages to slab sawing to remove floor and ground slabs. Slab sawing typically refers to cutting horizontal flat surfaces. Our precision cutting tools can be used to expertly cut away concrete. While jackhammering is the popular method for removing horizontal slabs of concrete, it’s highly inefficient. Slab sawing with tools like the ones used by Ace Cutting and Coring are much more efficient and massively reduce the amount of mess and slurry to clean up after the concrete has been removed. Our slab sawing services can be safely used outdoors and indoors. If you’re in need of slab sawing services or would like more information, contact us today!